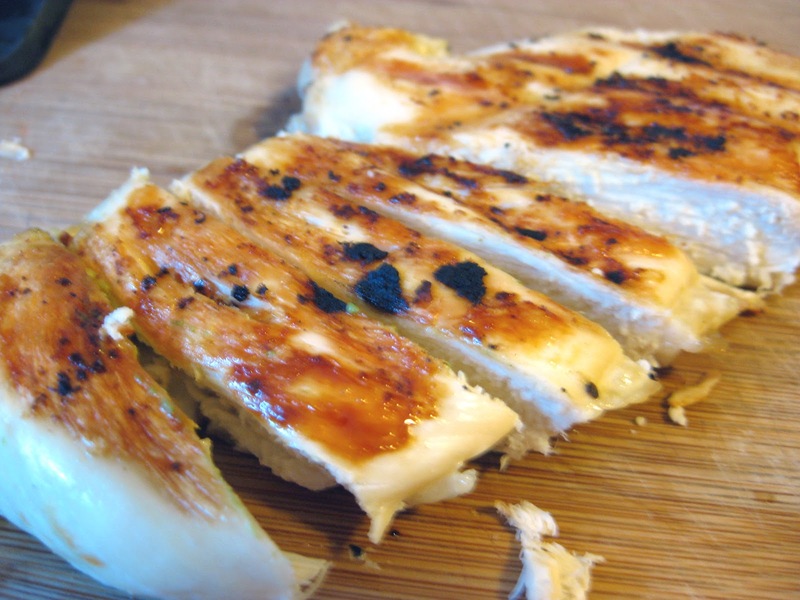 A couple years ago, I settled on a surefire way to cook a chicken breast. It's simple, easy, MOIST, and delicious. Sometimes, I eat this on it's own, but it's also the base for many of my favorite chicken recipes (like this one). I hope this will make your life simpler, as it has mine. 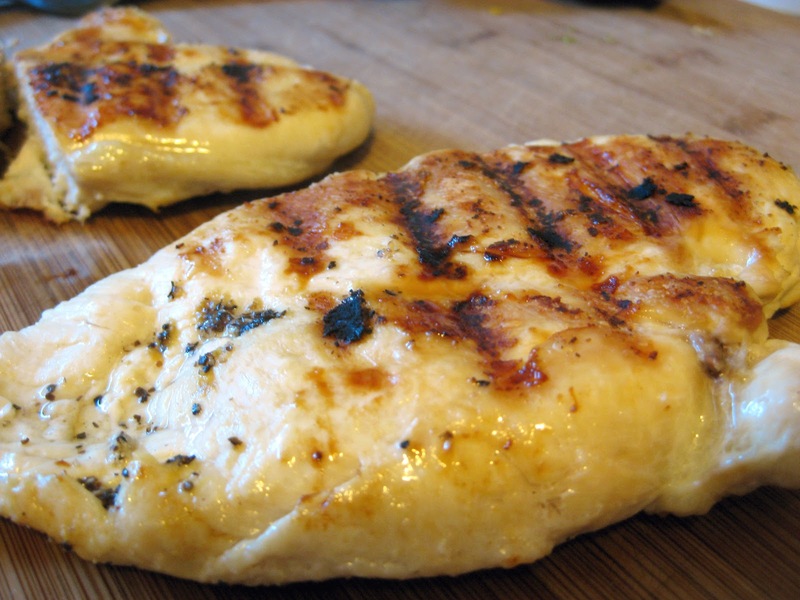 Using a mallet, beat down chicken breasts until about 1 to 1-1/2 inch thick. Sprinkle garlic salt and lemon pepper on both sides of the breast. Pat down. In a saucepan over medium heat, pour about 2-3 Tablespoons olive oil and heat through. Add seasoned chicken to the pan and cover with a lid. Let cook for about 4-5 minutes on each side until cooked throughout and all pinkness is gone. Heat George Foreman grill. Spray with cooking spray. Place chicken on the grill and let cook for 10-12 minutes, until all pinkness is gone. Let chicken rest for a few minutes before cutting. *If you thought the George Foreman grill was for college apartments only, think again. I use mine all the time. I would eat this on salad leaves and be forever happy. Simple and delicious. Blackened chicken is actually one of our favorite meals.